College of Home Science in Dr. Rajendra Prasad Central Agricultural University was established in 1982 to foster the growth, development and well being of individual, families and communities in the State of Bihar through better education, research and transferring improved technologies related to better family living to rural and farm women. The College has five departments namely Foods & Nutrition, Family Resource Management, Textile and Apparel Designing, Human Development and Family Studies and Home Science Extension & Communication Management. All the departments have well qualified faculty members with Ph.D. degree and multi-dimensional qualities. As per the ICAR’s Dean’s Committee recommendation the name of the degree programme and College was Changed. thus the college is now known as College of Community Science. 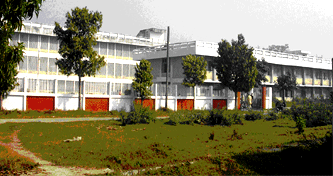 The College is located at Pusa (Dist-Samastipur) within the campus of Dr. Rajendra Prasad Central Agricultural University popularly known as “Pusa Farm”. It is about 100 km from Patna, 18 km from Samastipur, 35 km from Muzaffarpur and 40 km from Darbhanga. The nearst railway station is ‘’Khudi Ram Bose Pusa (KRBP)’’. The intake capacity at Undergraduate level is 50 students with Intermediate in Science (Biology or Math). At Under Graduate level emphasis has been given more on professional courses. The syllabus consists of CORE courses of 12 credit hours and Professional Elective of 50 credit hours in each department. 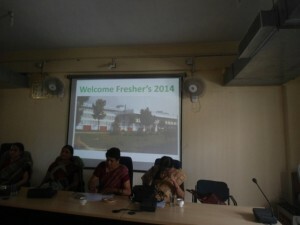 One full semester is devoted for Rural Awareness Work Experience and Job Training. At present department of Foods & Nutrition, Home Science Extension and Communication Management and Family Resource Management are awarding the Post Graduate degree. A total of 60 credit hours are offered including Major courses, Seminar and Dissertation/Thesis under Post Graduate Programme. The college has good rapport with the development departments and NGOs which helps in getting feed back of field problems. This helps in re-orienting the research programme making it need based and problem oriented. The College has been selected by Deptt. 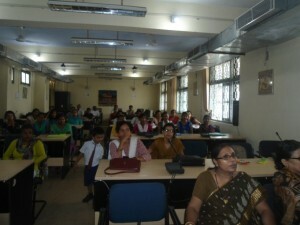 of Women and Child Development, Ministry of HRD, Govt. of India as Middle Level Training Centre under ICDS in the State of Bihar. This centre has successfully organized several orientation, job training and inducition training programmes for Lady Supervisors & Anganwadi workers . Well equipped Laboratories under different departments. Mass Media Officer, Lady Extension Officer, Journalist. Child Development Project Officer, Supervisor in ICDS, Public Relation Officer. Dietician in Hospital & Hostel Food Analyst, Nutritionist. Apparel Designer in Fashion Industry, Textile Quality Tester in Garment Export Houses and in knitting industries, Textile Designer. Interior Designer in Hotels, Hospitals and National Companies. Director, Supervisor of Day Care Centres and Child Guidance and family Centre.